Summary: 30 years after the defeat of Darth Vader and the Empire, Rey, a scavenger from the planet Jakku, finds a BB-8 droid that knows the whereabouts of the long lost Luke Skywalker. Rey, as well as a rogue stormtrooper and two smugglers, are thrown into the middle of a battle between the resistance and the daunting legions of the First Order. Star Wars: The Force Awakens, directed by J. J. Abrams, is the seventh installment in the celebrated Star Wars film series, created by George Lucas. 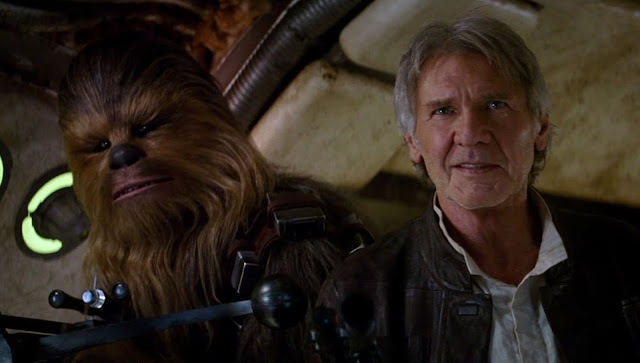 Co-written by Bryan Burk, Kathleen Kennedy, and Abrams himself, The Force Awakens has a stellar ensemble cast—as one would expect with a highly anticipated movie of an enormously popular film franchise—with Harrison Ford, Mark Hamill, and Carrie Fisher reprising the roles of Hans Solo, Luke Skywalker and Leia Organa, respectively. The movie also stars Oscar Isaac, Lupita Nyong'o, Max von Sydow, Andy Serkis, Daisy Ridley, John Boyega, and Adam Driver. The Force Awakens picks up 30 years after the events depicted in The Return of the Jedi (1983), wherein the Rebels Alliance had successfully put an end to the evil Galactic Empire under the command of the Sith Lord Darth Sidious and his apprentice Darth Vader, thanks to the heroics of the last Jedi, Luke Skywalker. 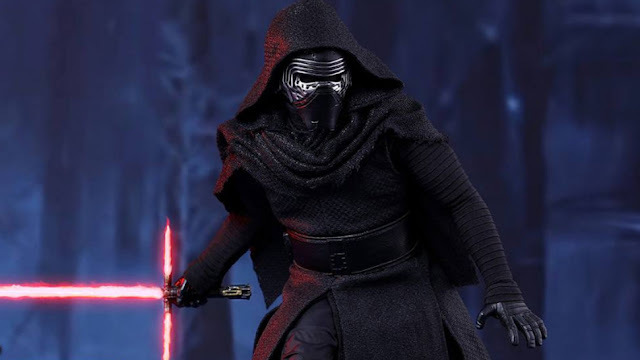 It is revealed that following Luke’s sudden disappearance, a new evil regime, the First Order, commanded by the Supreme Leader Snoke and his apprentice Kylo Ren, has risen from the remains of the fallen Empire and it now seeks to eliminate Luke and the Republic. The Resistance, which is led by Luke's sister, Leia, must find Luke and stop the Order from unleashing its evil plan. The return of Han Solo, Princess Leia, and Luke Skywalker to the Star Wars universe after an absence of 32 years is a grand spectacle in itself. Add to this the reemergence of the Millennium Falcon and Solo's close confidante Chewbacca along with C-3PO and R2D2, and we have another great Stars Wars adventure in the making. 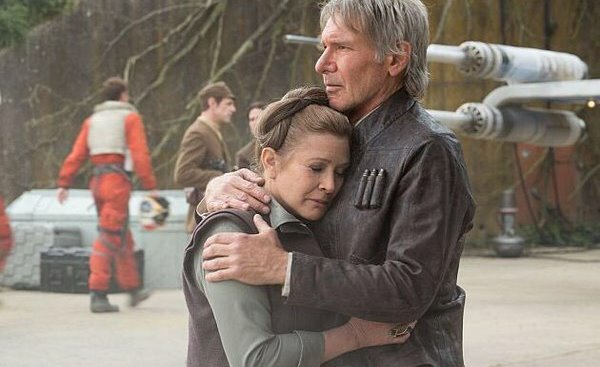 Alas, The Force Awakens flatters to deceive the millions of Star Wars fans the world over! A major problem is the conspicuous lack of suspense owing to predictability in the plot despite an abundance of high octane adventure. It is apparent that the makers are desperate to prepare us for a lofty trilogy instead of relishing us with a definitive Star Wars sequel that we deserve. The rub is that in their endeavor to build mystery around the disappearance of Luke, the makers shy away from feeding us with anything new or surprising, thereby adding to the plot’s predictability. 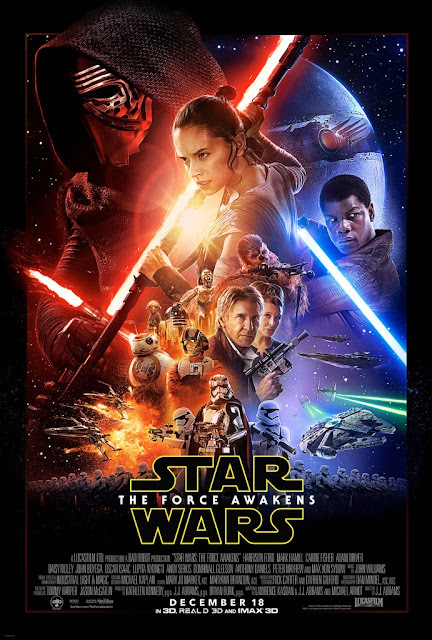 The movie unfolds like a well-practiced ritual devoid of the frenzy we often associate with the Star Wars franchise. It is apparent that the makers are desperate to prepare us for a lofty trilogy instead of relishing us with a definitive Star Wars sequel that we deserve. Perhaps, in a bid to make up for the lack of impact, a major character is killed in the third act, leading us to an 'epic' lightsaber duel sequence featuring two franchise upstarts, only it is not epic enough for a Star Wars movie. The scene does make one nostalgic but for all the wrong seasons. In order to get rid of the bad taste, one is forced to revisit the truly epic climactic lightsaber duel sequence between Obi-Wan Kenobi and Anakin Skywalker from Star Wars Episode III: Revenge of the Sith (2005). 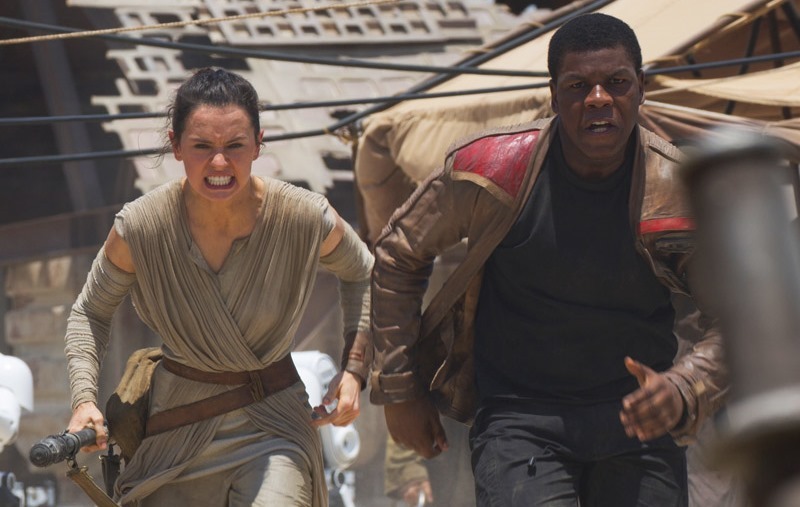 In The Force Awakens we find a white female (Daisy Ridley as Rey) and a black male (John Boyega as Finn) at the forefront of all the action—a clear sign of the changing times. While Ridley and Boyega play their parts with reasonable conviction, they pale in comparison to the leading characters in the earlier Star Wars movies. One of the biggest disappointments is the effeminate villain Kylo Ren (played by Adam Driver). Ren’s desperation to fill in his idol Darth Vader’s shoes (he wears a mask merely to look like Vader) is perhaps best matched by Driver’s own longing to fill up the void created by the departure of David Prowse’s James Earl Jones-voiced menacing cyborg supervillain from the Star Wars universe. Ren’s weak caricature has drawn flak from various sections of the press including the Vatican newspaper L’Osservatore Romano which observes that Ren and Snoke are pale imitations of predecessors Vader and Palpatine. 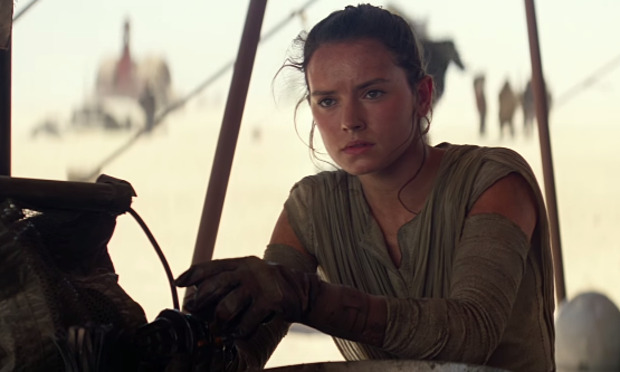 Overall, Star Wars: The Force Awakens fails to match the brilliance and uniqueness of the earlier Star Wars films. But, the visual effects do make it one of a kind; it is indeed stunning to watch in 3D. While the cinematography is topnotch, there aren’t any images powerful enough to get permanently etched in the viewer's memory. There are few who would ever forget the iconic double sunset scene of planet Tatooine’s twin suns in A New Hope (1977) or Luke’s deadly encounter with a Wampa on the icy planet Hoth in The Empire Strikes Back (1980). Having said that, Star Wars: The Force Awakens, to its credit, does succeed in its endeavor to make us feel nostalgic and the nostalgia alone makes it worth the ticket. As for the newbies, it is best advised that they watch the earlier six films prior to watching the seventh in order to avoid confusion and embarrassment. A version of this review was also published in The Huffington Post.